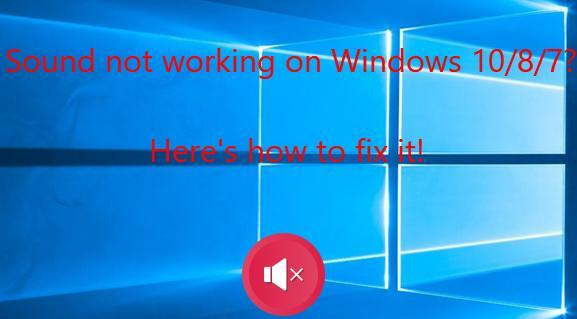 Here’re 4 fixes that have helped other users resolve their sound not working on Windows 10/8/7 problem. Just work your way down the list until you get sound back on track on your PC. Remember that your internal speaker probably won’t play any sound with an external audio device (such as a headset or a speaker) plugged in. 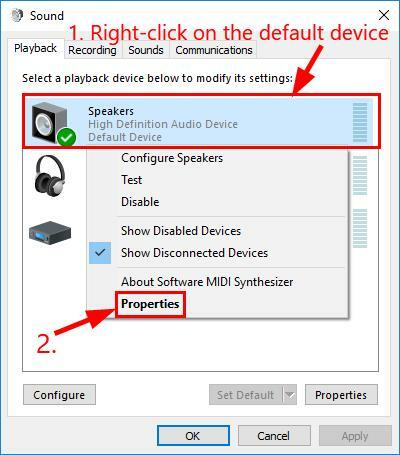 If you have an external audio device (such as a headset or a speaker) plugged in but no sound comes through, remove it and then test it on another computer to check if the device itself is the culprit. If it works properly on the other computer, then the device is not the problem. Move on to 3) to do further troubleshooting. If it still doesn’t work on the other computer, then you might want to test it on a third computer to see if the device is problematic. Move on to 3) to do further troubleshooting if it proves functioning. Plug your audio device back in, make sure it’s properly connected and try another port if necessary. After that, test to see if sound works properly as it should. If yes, then great! But if you’ve ruled out all these hardware problems and sound is still oddly not working, then move on to Fix 2, below. Volume is the next item you might want to check since it can be easily overlooked. Click the sound icon on the lower-right of your screen, then move the volume slider all the way to halfway up. 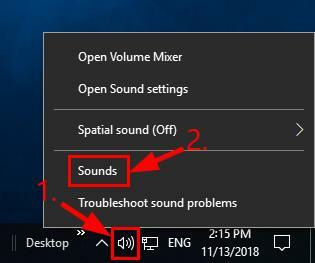 Check if any sound comes out on your Windows 10/8/7 computer. If the sound not working problem persists, move on to Fix 3, below. 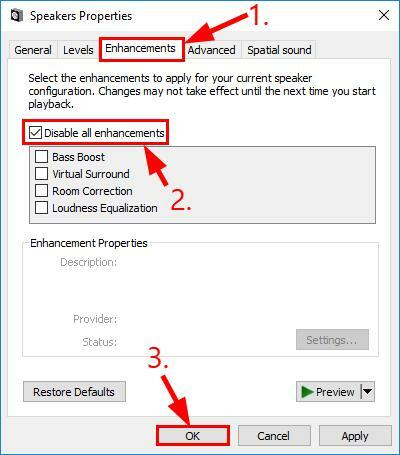 Adjusting audio settings include setting the desired device as default and disabling audio enhancements. 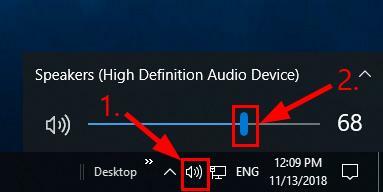 Normally Windows can detect your audio device and set it as default. But hiccups do happen and we should make sure the device we want to play sound through (the desired device) is set default for it to work properly. Click the sound icon on the lower-right of your screen and click Sounds. In Playback, click the device you want to play sound through and click Set Default. If the device you want to play sound through doesn’t display on the list, then right-click on the empty space and tick Show Disabled Devices. Then right-click on the desired device once it appears and click Enable before you do step 2). Audio enhancements are features that allow for highest sound fidelity from your hardware. But depending on your configuration, they can also interfere with your system and trigger sound not working problems. So we should disable audio enhancements to see if it fixes the Windows no sound problem. Right-click on the default device (as set above) and click Properties. Click the Enhancements tab, tick the Disable all enhancement box and click OK.
Click OK to apply the changes in the windows. Now that with your desired device set as default and audio enhancements turned off, try playing some audio and see if sound works fine. If it does, then the problem is solved. If it still doesn’t work, don’t worry. There’s one more fix for you to try. Another common causes of this problem is an outdated or a faulty audio driver. So you should update your audio driver to see if it fixes the no sound working on Windows 10/8/7 issue. 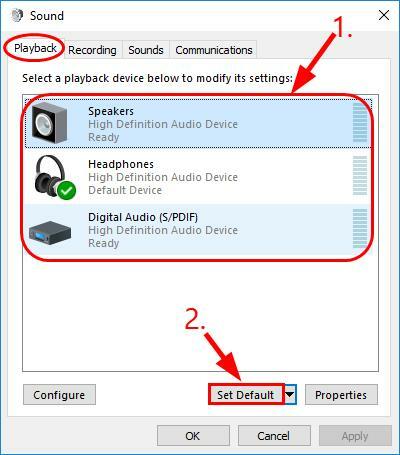 There are two ways you can get the right audio drivers: manually or automatically. 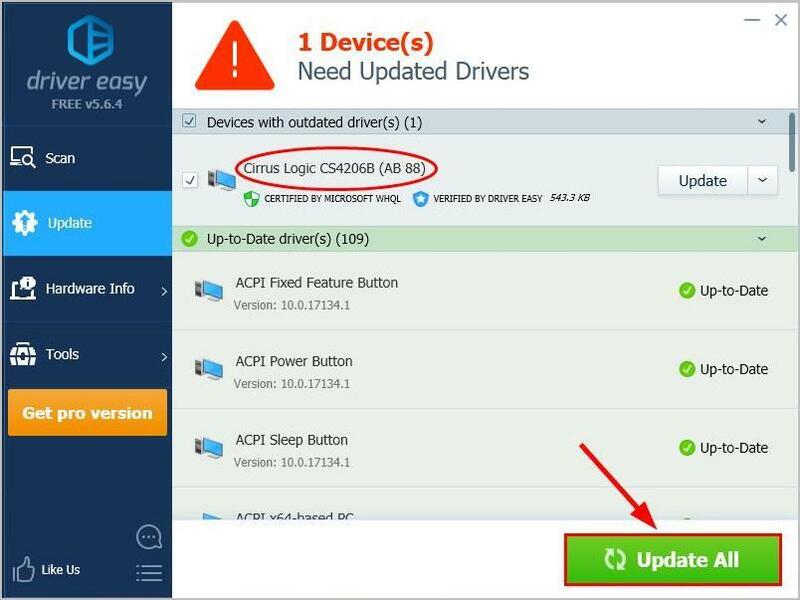 If you don’t have the time, patience or skills to update the driver manually, you can do it automatically with Driver Easy. You can update your drivers automatically with either the FREE or the Pro version of Driver Easy. But with the Pro version it takes just 2 steps (and you get full support and a 30-day money back guarantee. Restart your computer and see if Windows sound not working problem is resolved. 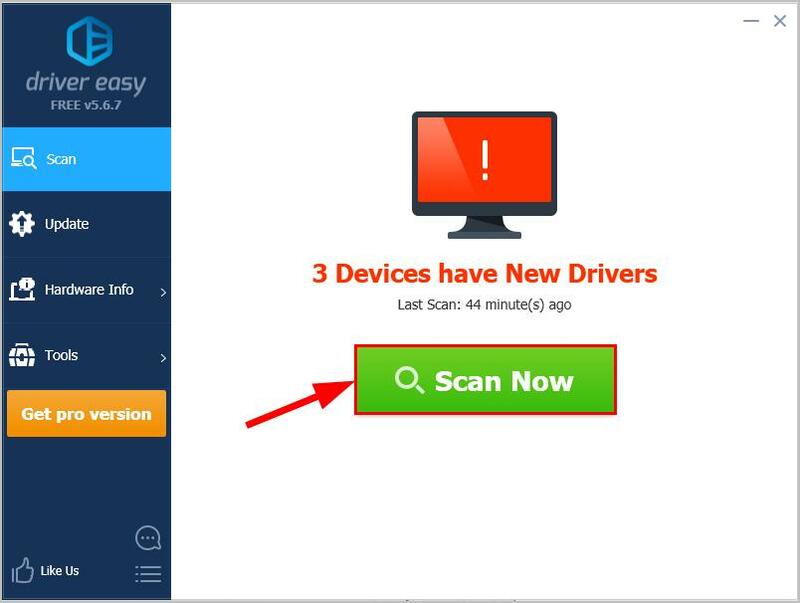 If the problem still lingers after using Driver Easy, don’t hesitate to email us at support@drivereasy.com for further assistance. Be sure to attach the url of this article so that we can track down the problem faster for you.